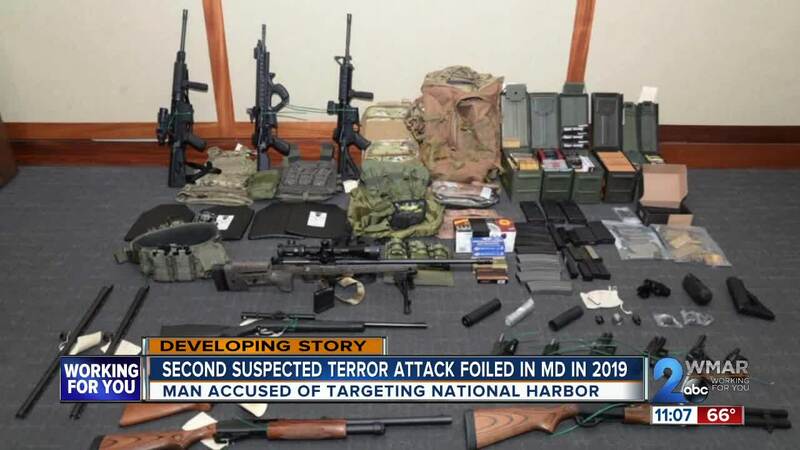 (WMAR) — Federal prosecutors say a Maryland man, inspired by ISIS, stole a U-Haul truck and planned to drive it into a crowd of people at the National Harbor. Police arrested him before he could carry out his plan. It's the second domestic terror attack foiled in the state this year. "I was going to keep driving and driving and driving. I wasn't going to stop," said Rondell Henry, according to court documents. "All of these entities together have prevented pointless violence," said Prince George's County Police Chief Hank Stawinski. "This is how the system produces results for the people." His arrest comes less than two months after a Coast Guard Lieutenant living in Silver Spring was arrested and accused of planning a mass killing of prominent democratic politicians and journalists. "It's intended to get an emotional response from us, and we should not let it," said terrorism researcher William Braniff. Braniff is the director of the National Consortium for the Study of Terrorism and Responses to Terrorism, or START , based at the University of Maryland. He says even with two incidents foiled this year, it's very rare compared to other countries. "There are unfortunately too many of these acts of violence across the world. That being said, we shouldn't let them intimidate us. They are very rare in this country and we are very well protected," said Braniff. He does say though that research shows an uptick in terrorist attacks in the U.S. in 2017 compared to previous years, which he says can be attributed to many factors. "We have a sustained level of propaganda online encouraging violence from the so-called Islamic State. We also have a rise of incidents of right-wing extremism in the U.S. over the last couple of years," said Braniff. "But at the same time, we have a law enforcement community that's getting better and better about disrupting these threats." He said the best thing people can do is be proactive. He encourages people to get involved with terrorism prevention programs run by communities to engage with one another to build trust and identify individuals who are flirting with extreme ideologies before they go too far down the road and break the law. "If we don't do these things, we are just constantly reacting to the threat. We are never actually minimizing it so these terrorism prevention programs run by communities are the best things we can do to keep ourselves safe over the long run ," said Braniff. START has partnered with FEMA to offer online courses as well.